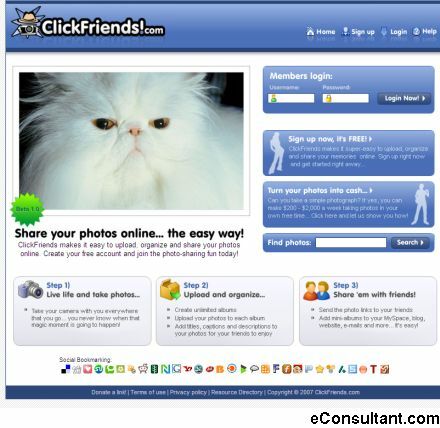 Description : ClickFriends makes it easy to upload, organize and share your photos online. You can create unlimited albums, upload your photos to each album, add titles, captions and descriptions to your photos for your friends to enjoy. Also you can send the photo links to your friends and add mini albums to your Myspace, blog or website.